Napoli came from behind to beat Genoa 2-1 in a Serie A clash that was temporarily suspended due to heavy rain. With the Copa Libertadores final between Boca Juniors and River Plate having been put back to Sunday due to a waterlogged pitch, it looked like Saturday's encounter at the Luigi Ferraris was destined for a similar fate when play was halted 13 minutes into the second half. 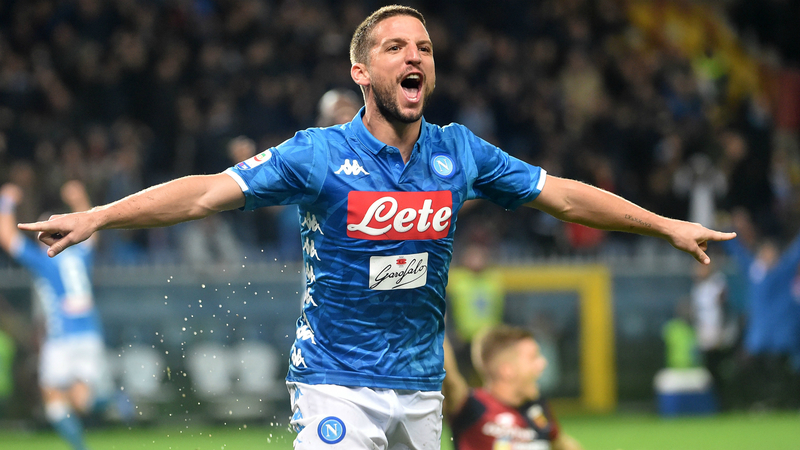 The delay lasted 10 minutes but, after a pitch inspection, play resumed and Napoli levelled when Dries Mertens used the sodden surface to his advantage to tee up Fabian Ruiz with a subtle flick. That goal cancelled out Christian Kouame's opener, and the turnaround was completed when Davide Biraschi slipped in Genoa's six-yard box and deflected a free-kick into his own net four minutes from time. A few snaps from a wet night in Genoa! The home side insisted a foul had been committed but, after some initial confusion, the goal was allowed to stand, and Napoli held firm to secure a win that moves them to within three points of leaders Juventus, who face AC Milan on Sunday.